From Vikram Vedha to Mersal to Angamaly Diaries to Njandukalude Nattil Oridavela, many movies have won hearts in the year that passed by. Now reliving and celebrating these films, SIIMA [South Indian International Movie Awards] was held in Dubai this year. Undoubtedly, SIIMA 2018 was a star studded affair with many celebrities taking off to the city over this weekend. The first day, that is September 14, was dedicated to Tamil and Malayalam cinema and the incredible performances of 2017 that managed to rake in moolah at the box office. 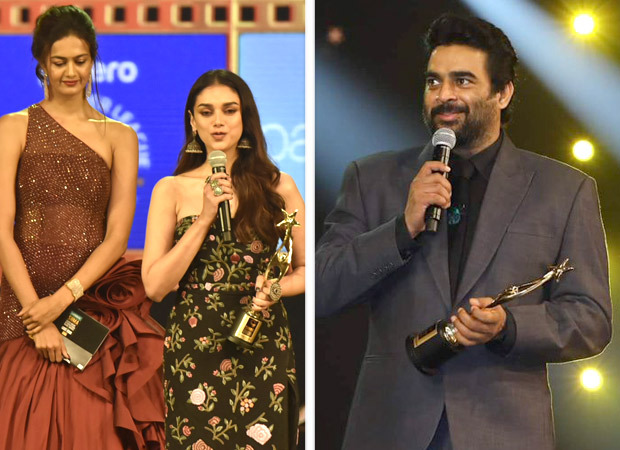 Not surprisingly the winners included the Tamil superstars like R Madhavan, Nayanthara whereas Gen Y Malayalam stars like Nivin Pauly amongst others.